Becoming a member of FHPCA means being involved in our mission to assure excellence and access to hospice care, and advocate for the needs of those in the final phases of life. As Florida’s one and only hospice association, we work hard to ensure the preservation of the hospice Medicaid benefit, and have been successful for over 30 years in doing so. 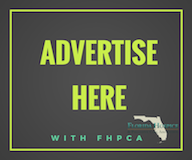 We contribute our success to our dedicated and exceptional Provider Members (all employees of a FHPCA Provider Member are also members of FHPCA), who strive for quality hospice care in Florida. Members are encouraged to be involved with FHPCA by joining one of our committees. If you would like more information about the committees, please email us at info@floridahospicesorg or call us at 877-783-1922. If you wish to support FHPCA, you can do so by purchasing a Hospice Specialty License Plate, by donating, or by participating in our educational offerings. 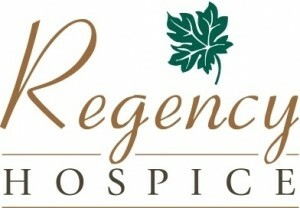 The respected and effective voice of hospice among the law makers, regulators and policy experts of Florida. 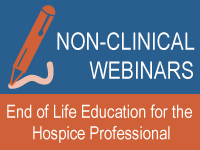 The leading providers of hospice education in Florida with a broadening view to serve both the clinical and non-clinical disciplines. The source for hospice news, innovation and resources for practitioners and the public. Created an Advocacy Toolkit to assist members in their grassroots advocacy efforts with their local representatives. Maintained strong fiscal responsibility through a balanced budget and increased financial reserve. Sustained leadership roles and engagement in local, state, and national partnerships. Presented world class experts for provider member and leadership team development. Offered quality educational opportunities to more than 1,000 leaders, staff and industry related employees. Sustained leadership roles on work groups with the Agency for Health Care Administration, Department of Elder Affairs, and Children’s Medical Services/Department of Health. Worked towards the betterment of pediatrics services in Florida through a collaborative leadership role in the PIC-TFK and Florida Pediatric Palliative Care Consortium programs, as well as through the implementation of the Concurrent Care for Children requirement. Won the National Trailblazer Award. Served hundreds of constituents through the Consumer Hotline.